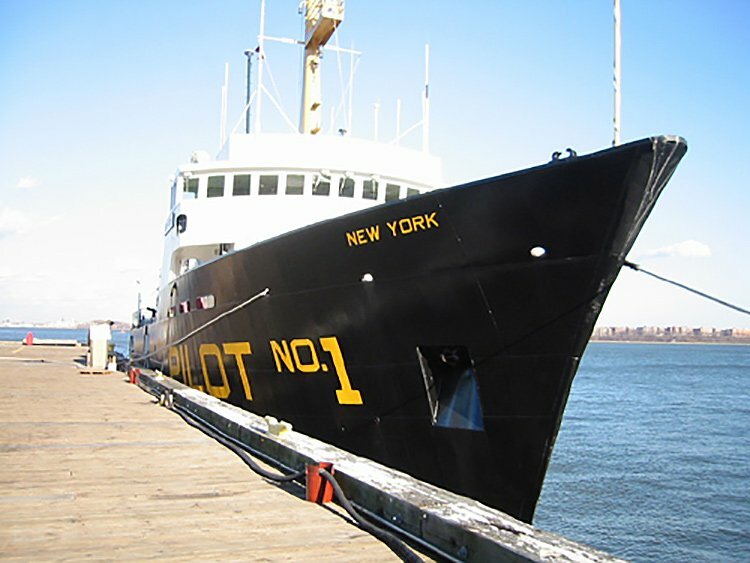 The Sandy Hook Pilots provide pilotage service for the ports of New York, New Jersey, Hudson River, Hell’s Gate, and Long Island Sound. 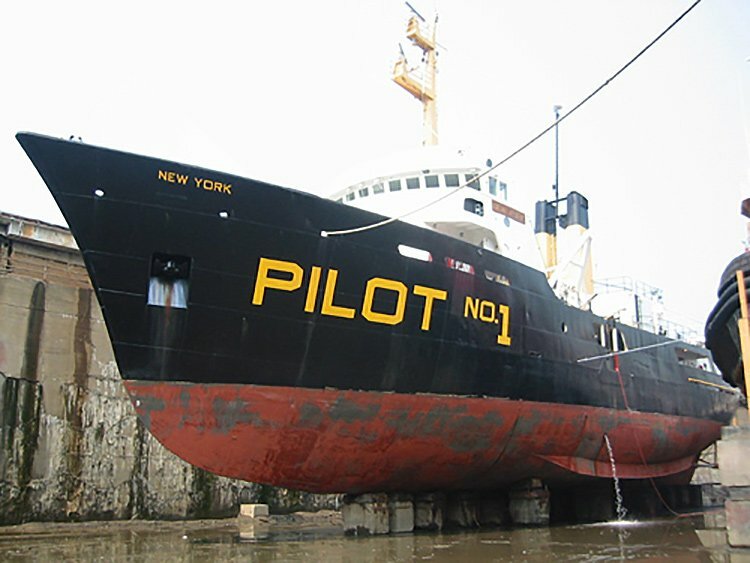 The pilot vessel NEW YORK is the largest in the pilot’s fleet and has been in service since 1971. After 30+ years of service, the vessel needed to be re-powered. A $1.7 million re-powering project was initiated and completed during 2004. The re-powering included replacement of the entire propulsion system from the main engine to the propellers. The new equipment includes two Caterpillar 3512B marine engines, coupled with Lufkin RS1800S-1250 reduction gears. New 4-bladed Rolls-Royce propellers were selected to help reduce vibration. RexRoth electronic controls were installed to replace the original pneumatic control system. The new propulsion system increases efficiency, reliability, and complies with modern emissions requirements. JMS was contracted to provide Sandy Hook Pilots Association with engineering support throughout the project. 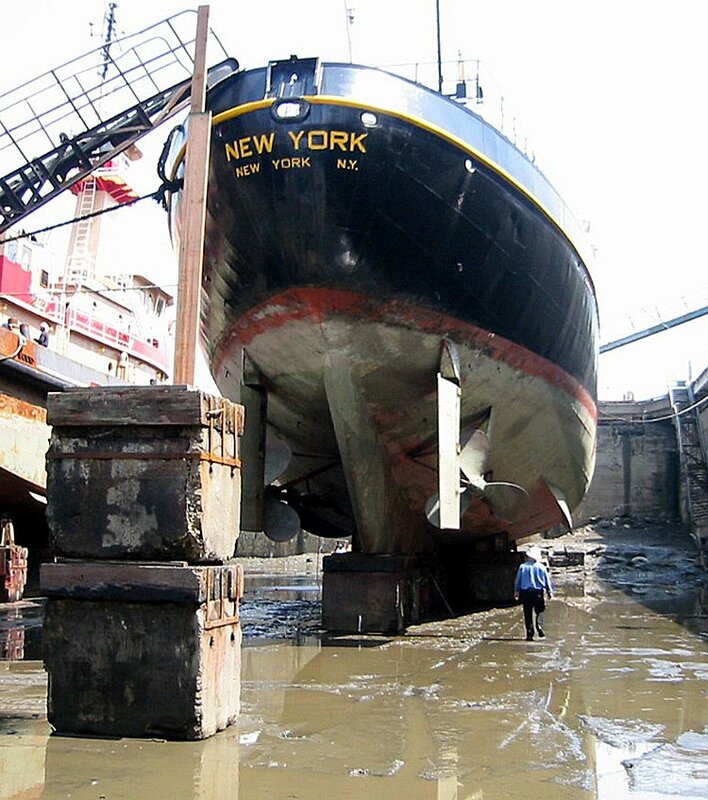 Prior to entering dry dock at GMD Shipyard in Brooklyn, NY, JMS helped with writing the shipyard bid package, preparing drawings for shipyard installations, and submitting calculations and plans to ABS for review and approval. Drawings included shaft arrangements, equipment foundations, control console layouts, channel cooler arrangements, and piping arrangements. JMS also aided in identification and selection of various pieces of equipment. JMS designed the keel cooling system for the main engines, reduction gears, and generator sets. The system consists of a series of “C” channels welded directly to the hull of the vessel. This simple closed system consists of individual circuits for each generator and main engine/gear set. During the shipyard period, JMS employees were on hand for the major events, as well as for ABS and USCG inspections. These events included cutting a large opening in the side shell to provide access to the engine room, keel cooler installation, shaft and propeller installation, and shaft alignment. JMS also provided on site owners rep services in discussions with shipyard employees regarding work items, and in discussions with various equipment vendors. JMS developed final plans, drawings and engineering calculations to submit to ABS and USCG for review and approval as well as shipyard plans and installation drawings. Once the installations were completed and the vessel floated, JMS conducted an inclining test and prepared a stability report to be submitted to ABS for review on behalf of USCG. The vessel is currently in operation and the owners are pleased with the results. The investment in re-powering the vessel has greatly extending the service life and the performance of the vessel.